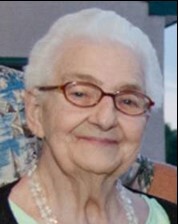 Sarah (Sally) A. Massarelli Cotton, 82 years old, of Wilmington, Delaware, formerly of Marcus Hook, Pennsylvania died peacefully at St. Francis Hospital on Saturday, February 2, 2019. Mrs. Cotton was born in Chester, PA and was a long-time member of Immaculate Conception of Lourdes Church in Marcus Hook, PA. She was a LPN for Fair Acres for seven years and enjoyed her work as a crossing guard for the Marcus Hook Borough. She enjoyed bingo, crocheting, sewing and spending time with her family and friends. She was the wife of the late Andrew Massarelli, Sr. for 36 years (deceased in 1994) and Maurice Cotton for 10 years (deceased in 2008). Born to the late Taylor Buckingham and Ann Sarah Osmond, she was the oldest of 14 siblings (four sisters and three brothers living). She will be sadly missed by her family Grace-Marie Scargill (Timothy) of Chadds Ford, PA, Vincent A. Massarelli (Ryan) of Manhattan, NY, Gail A. DeVito (David) of Wilmington, DE and Andrew (Drew) Massarelli (Michele) of Millsboro, DE. She cherished her 10 grandchildren, 11 great-grandchildren and her many nieces and nephews. She was a caring and courageous woman who fought many illnesses for a long time. A heartfelt thank you to all her doctors and nurses at Bryn Mawr Hospital for taking great care of her throughout the years, St. Francis ICU doctors and nurses and St. Francis Homecare. Sorry for your loss. I am an old friend of the family . My father worked with Maurice down at FMC . Can’t say enough good things about him and his sweet bride. Together again. We are sending our deepest sympathies to you and your family on the passing of your dear mother and grandmother. It is never easy when we lose our loved ones but may you hold her in your hearts thru all the wonderful memories you cherish. Sincere Sympathy,Love, Eleanor,Bob and family. Gail, Grace and family,so sorry on the loss of your mom, she was such a funny and HAPPY lady…With deepest sympathy.. Thank you for the beautiful memories. You will always be in our hearts. We will miss you everyday.